Kayan, B. (2006). Building Facade Defects Analysis in Old British Colonial Building Conservation in Kuala Lumpur. Proceedings of the 5th. 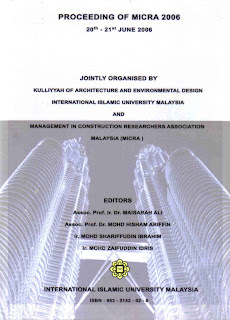 Annual Conference Management in Construction Research Association (MICRA), 20-21 June 2006, International Islamic University Malaysia. Ms. 117-127.